Porcine reproductive and respiratory syndrome virus (PRRSv) costs the US swine industry more than $580 million each year. First described in North Carolina, Iowa, and Minnesota in the late 1980s, the virus rapidly spreads through swine barns and is one of the industry’s biggest game changers. Since its emergence in the United States, scientists have worked to reduce its risk to swine. In 2003, a new strain of PRRSv (MN184) emerged. Scott Dee, ’85 MS, ’87 DVM, ’96 PhD, adjunct professor in the Department of Veterinary Population Medicine at the University of Minnesota College of Veterinary Medicine (CVM), found that pigs infected with strain MN184 exhaled aerosols containing a much higher quantity of the virus than those infected with older strains of PRRSv. In response to these findings, Dee was influential in developing the now-common practice of filtering swine barn air in the United States. Fifteen years later, researchers in the Veterinary Diagnostic Lab at the CVM are looking to apply research they are doing on decontaminating foods in collaboration with the University of Minnesota College of Science and Engineering (CSE) to swine barn air filtration in an effort to further promote swine health and safety in the food industry at large. U of M researchers are testing the efficacy of various plasma sources, including a 2D integrated coaxial micro hollow dielectric barrier plasma discharge array (pictured above). Plasma (purple) is produced inside the holes of the array, through which air is blown. This plasma source has been productively breaking down various viruses—the pathogens are inactivated when they come into contact with the air coming through the holes in the array. But how might the average restaurant afford technology that effectively delivers cold plasma to these foods? Ankit Moldgy, a graduate student in the Department of Mechanical Engineering working on the project, is looking to develop a mechanism for effectively and safely delivering the plasma-produced active agents to its targeted bacteria and viruses, while also making the process cost-effective. Gaurav Nayak, a PhD student in the Department of Mechanical Engineering, is using the framework of his Kermit and Ione Ebeltoft Interdisciplinary Doctoral Fellowship with his advisor Bruggeman and mentors Goyal and Torremorell to investigate ways to integrate the plasma generation unit into air filtration systems. Torremorell plans to help assess a prototype’s efficacy. Thanks to Dee’s findings back in 2003, researchers know that swine generate virus-laden aerosols. Scientists can quantify the viruses in those aerosols, which, Torremorell says, makes it possible to test whether the equipment can decrease the viruses. The multidisciplinary team’s cold plasma research is closing in on many possible applications of this new technology. 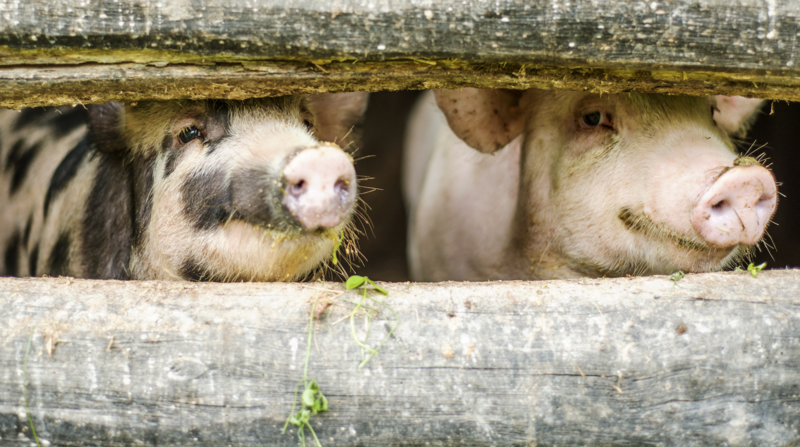 The possibility of resolving the swine industry’s biggest opponents—airborne diseases, such as PRRSv—could have an outstanding impact on both the food industry and swine producers across the country.